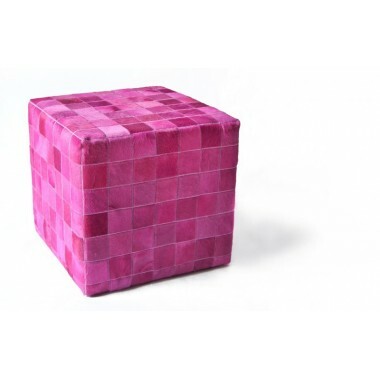 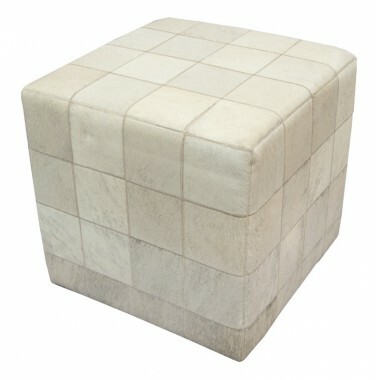 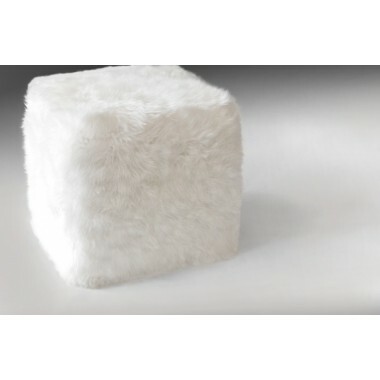 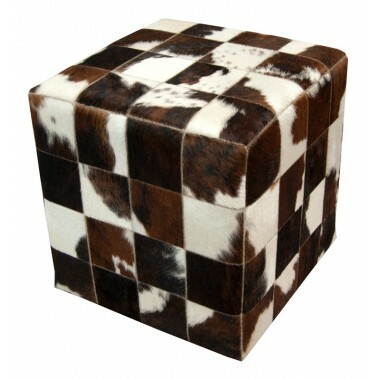 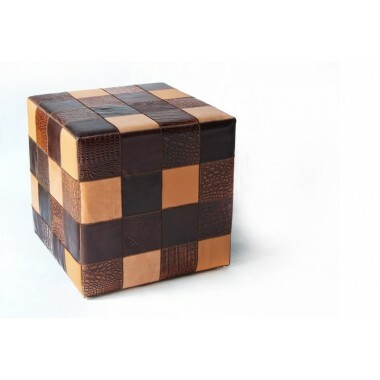 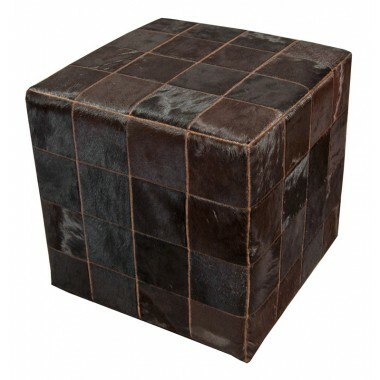 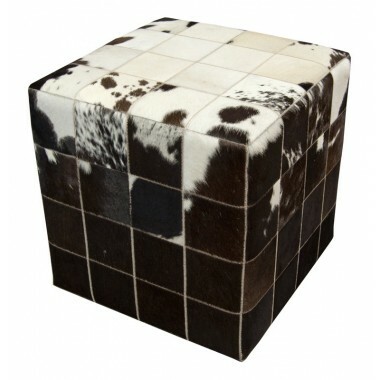 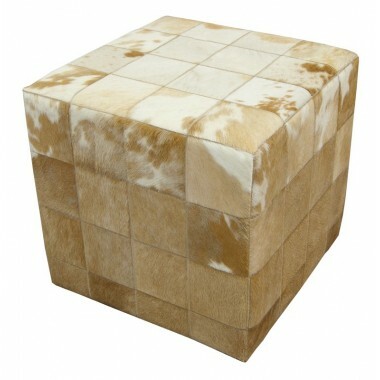 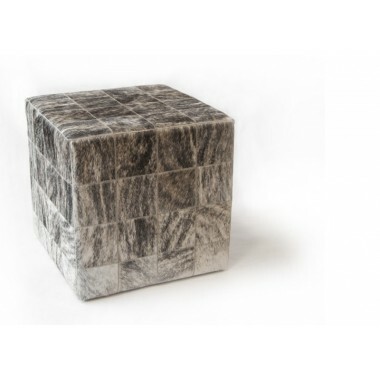 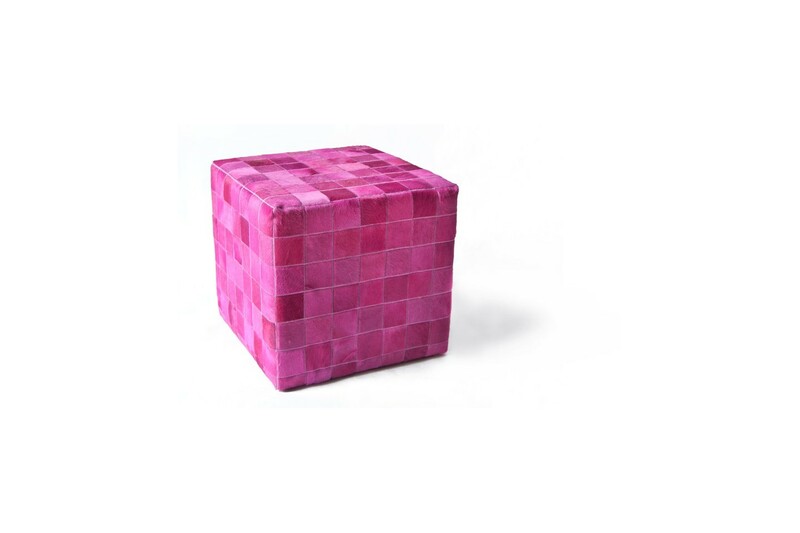 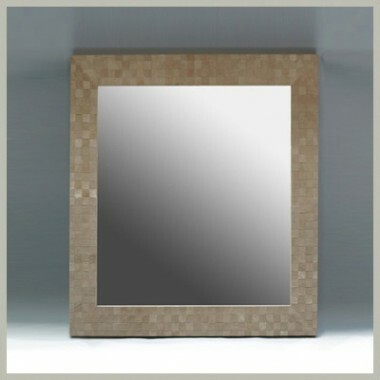 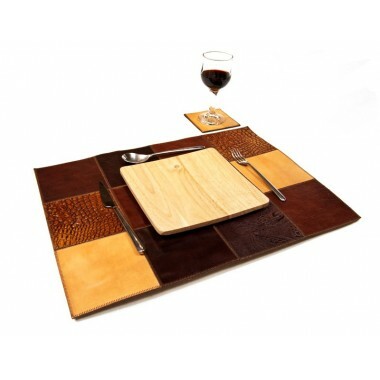 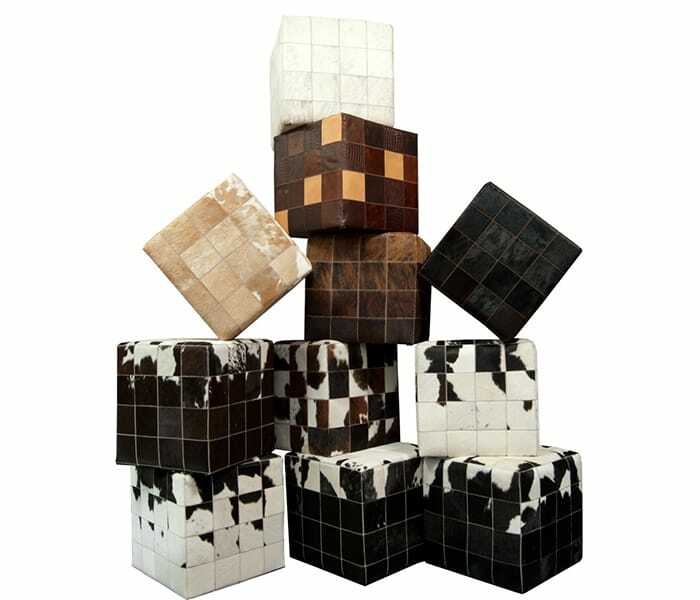 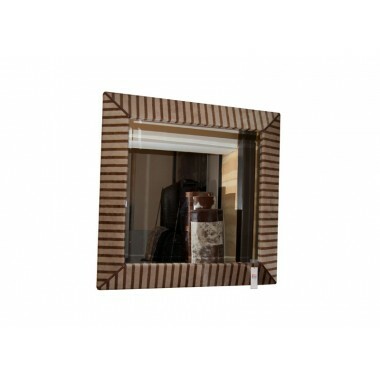 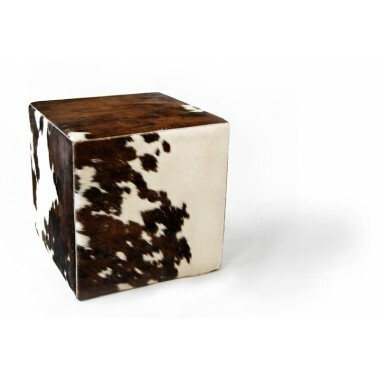 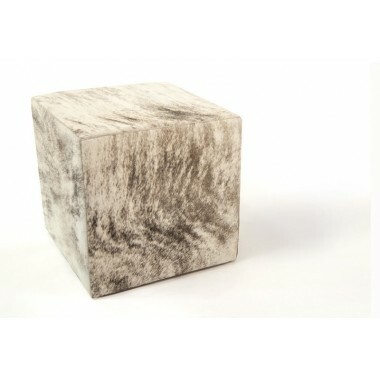 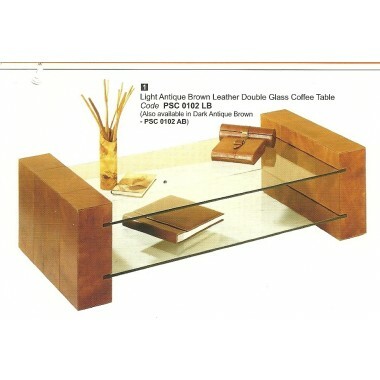 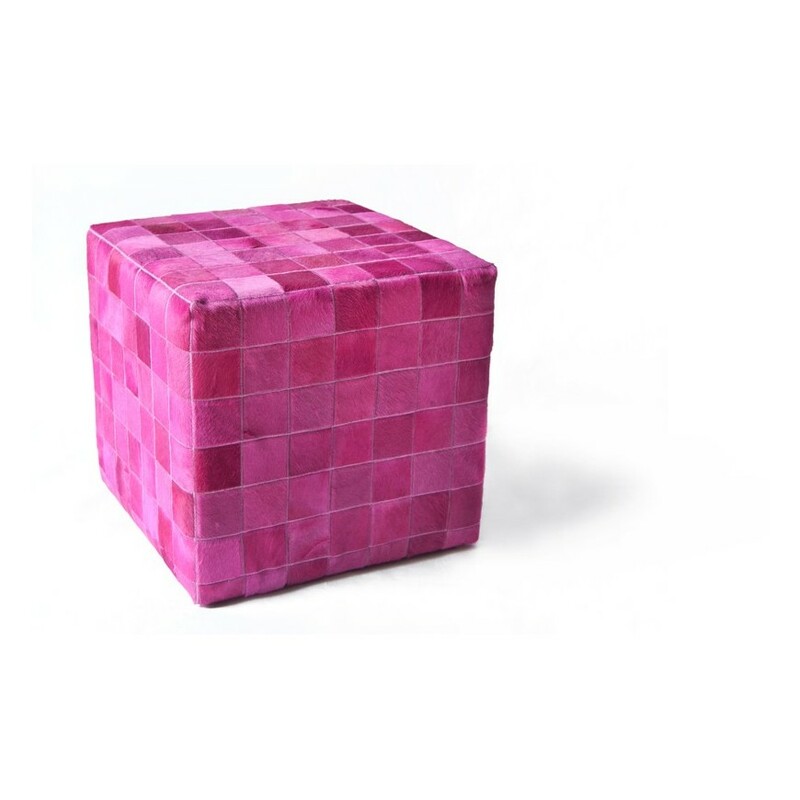 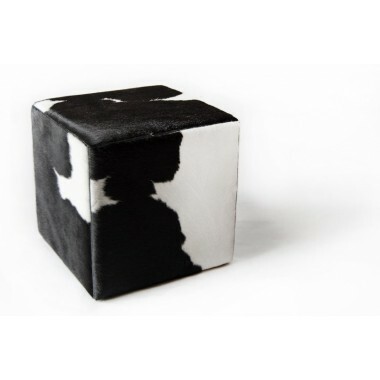 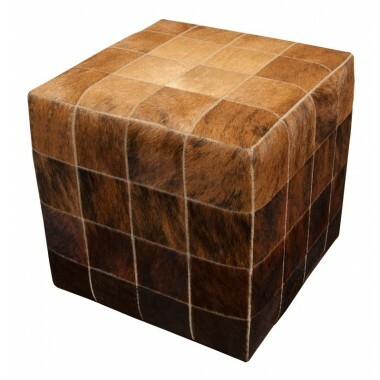 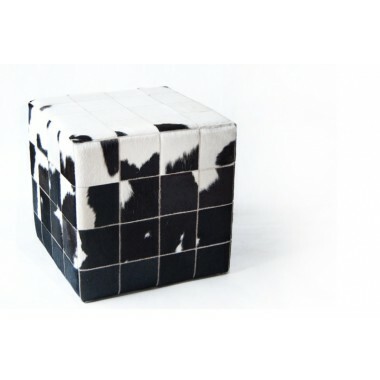 This leather cube is made from real cowhide in "pony skin" style (hair-on), in 40 x 40 x 40 cm dimension. 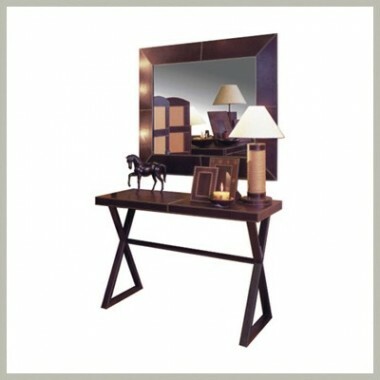 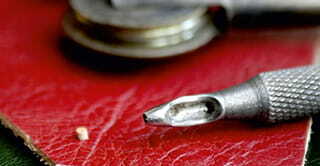 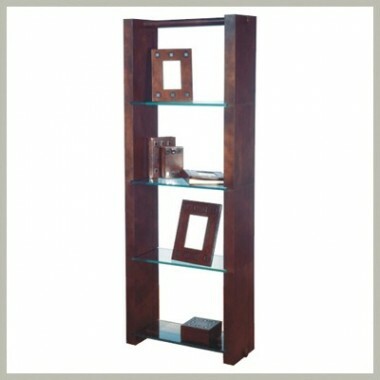 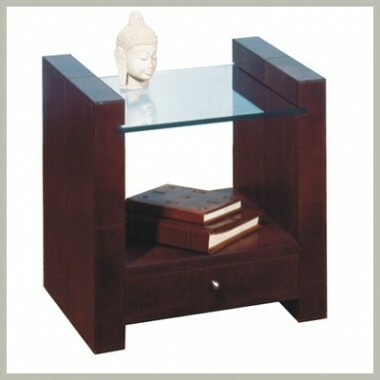 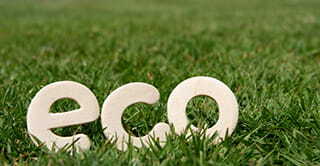 Unique micro-furniture of our own making in modern style and playful colors. 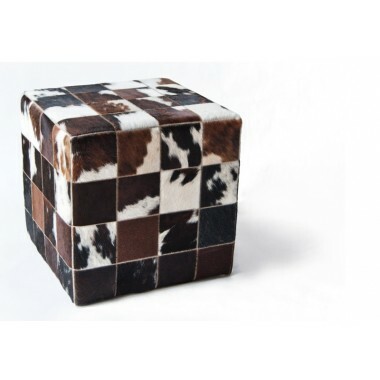 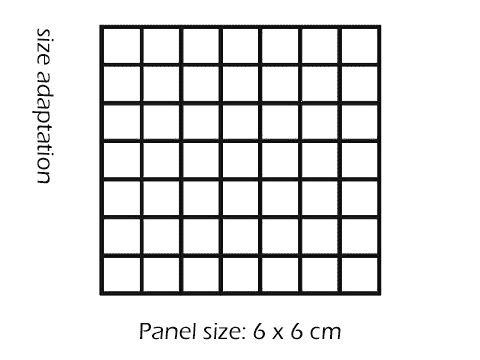 Combine it with this rug for a stylish living room.